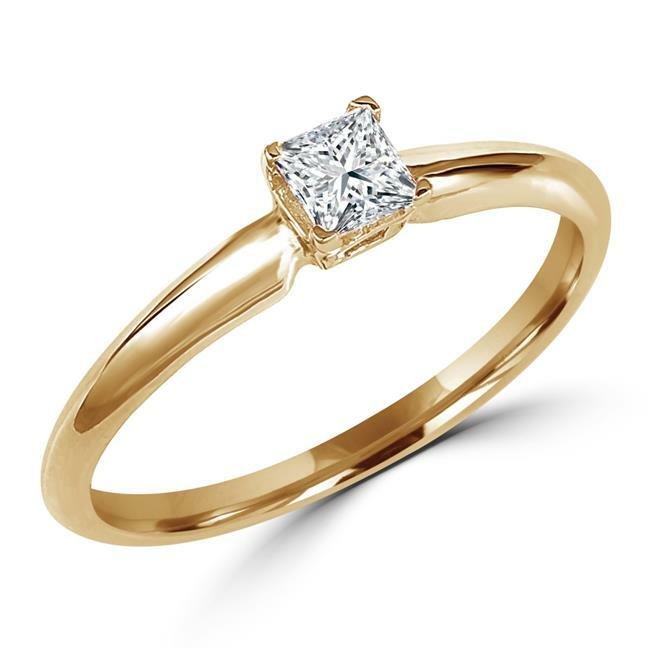 When you're ready to commit and want to express your devotion in a special way, this charming 1/3 CT Princess Cut Solitaire Diamond Engagement Promise Ring will help make your true feelings known to that special someone. Let the glistening polished 10K gold and sparkling center diamond express your desire to take the next step with your sweetheart. The princess cut diamond weighs 0.31 CTW. The color rating is F-G with a clarity range of VS2-SI1. The metal weight is 1.13 grams. A complimentary jewelry box is included with purchase.